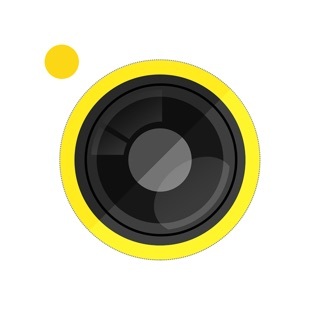 This free app offers a taste of what Photomyne has to offer. Scan away and save up to 20 scanned photos to your device. You will need to subscribe to a Photomyne account (in-app subscription) to unlock more features. Photomyne also offers a One-Time plan which is paid for by a one-time, upfront payment with unlimited access to all account features. It is valid for 10 years and supports up to 20,000 photos. Functional, nice, well thought out app but it is not clear how much it is going to cost until you are well along in use. At the time of this review the app costs $60 to “own” without subscription. I purchased for a month at $5 but now I need to remember to cancel my subscription to avoid the recurring charge. The developer may say these facts are discoverable, I’m sure they are. However navigating the cost is in no way as intuitive as the app. I hope this review helps set expectations for future potential purchasers. I may have made the same choice if the developer had been more up front. I would definitely have been more happy about it though. As it is, I spent some time being irritated and trying to find out purchase prices and what they included. I also felt like I was being sold a club membership, I just want a nice clean app, not a photo scanning lifestyle. I was searching for an app that would make scanning and restoring my old family photos easy. I was using my printer scanning 1 photo at a time, then using a photo editing program that took up to several minutes to use. I have over 1000 old family photos and I knew it would take me months to do them all. I am simply amazed with PHOTOMYNE! I can scan several photos at once and it auto restores each picture and saves them separately as an individual scan. The only bad thing I can say is that I wish there were more free features, however to be honest this is one of those rare times I really don’t mind paying for the premium version! Everyone needs this app especially if you have old photos that are at risk of fading and being lost forever!